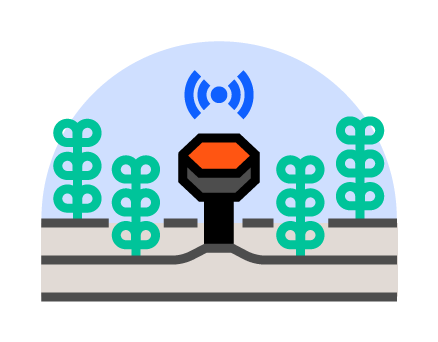 Our probes collect data from your soils and send wirelessly via LoRaWAN, a long-distance network that transmits sensor data up to 10 miles away. 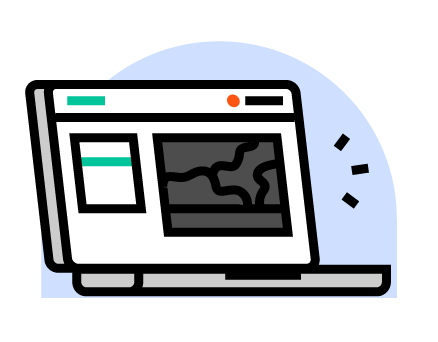 Our gateways aggregate all probe data and send it to the cloud in a secure, continuous, live stream. 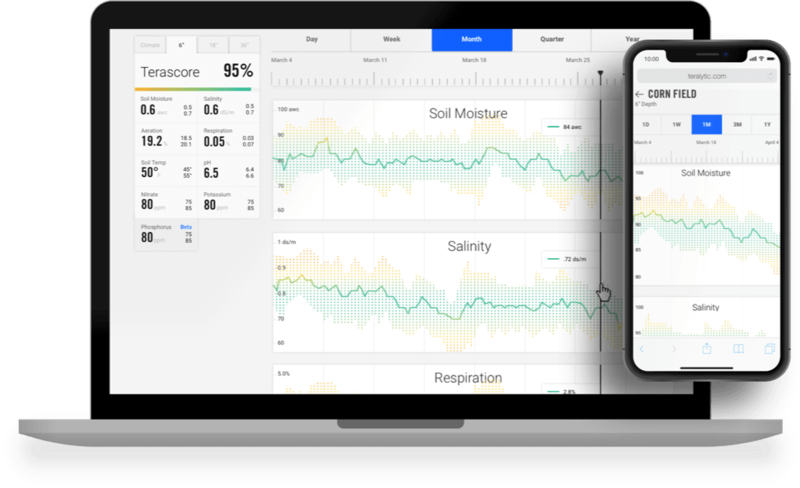 In our cloud, we run analytics on your data based on soil conditions compiled by governments, universities, and the unique criteria from your farm. 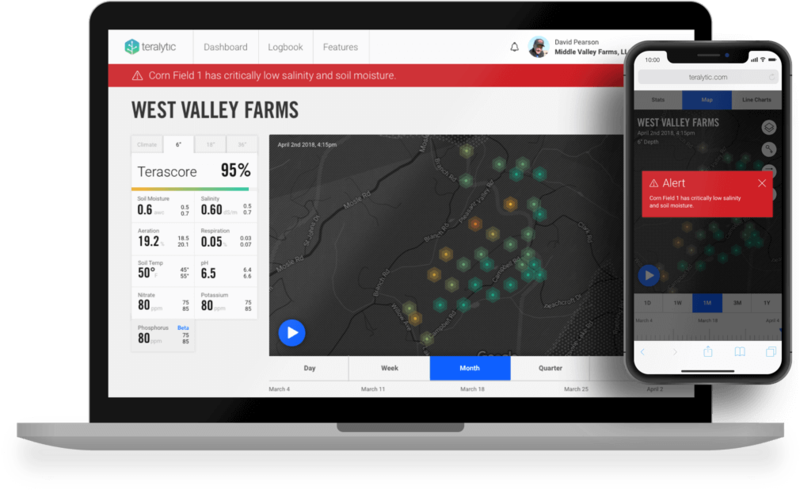 We report back to you with real-time and predictive insights using readable charts - and you use the insight on your farm. 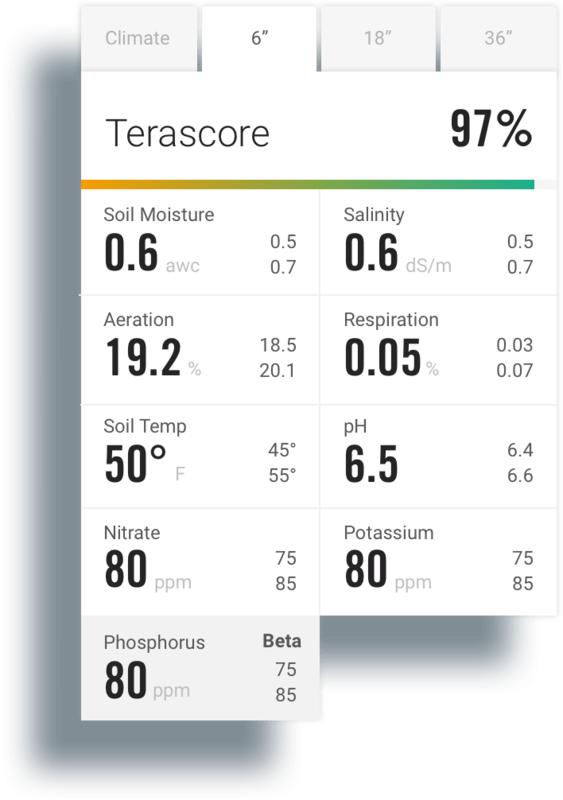 Terascore is crop- and soil-type specific, so it is customized based on the unique profile of your farm. Maybe you prefer a more detailed breakdown - we have that too. 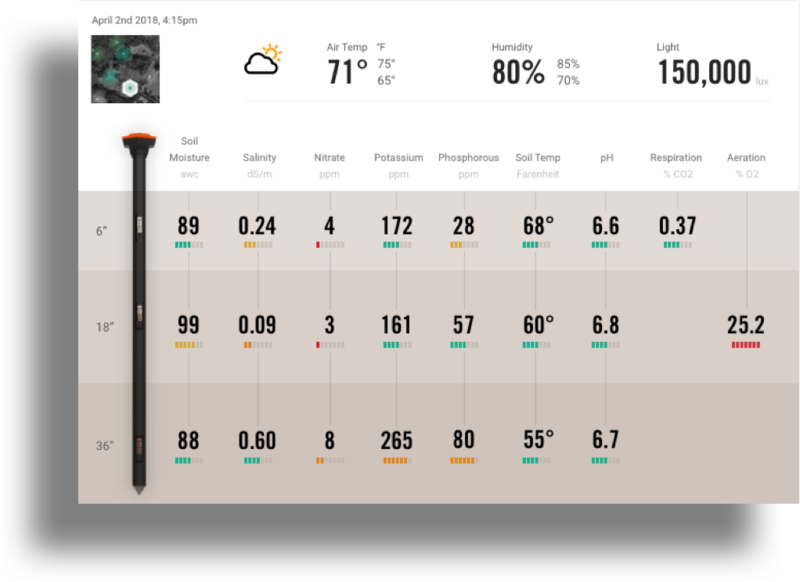 Easily track how inputs affect your soil conditions and view historic averages reported for each sensor, at each depth. 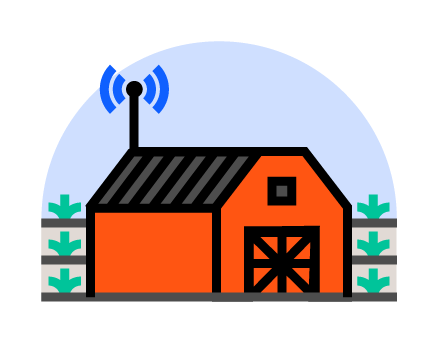 Drill down from your overall farm to individual fields, and even probes, for detailed microclimate data and more. In a hurry? No problem. Our color-coded system makes it easy to get a sense of what's happening without needing to dig in too deep. Our sensors report every 15 minutes, 24 hours a day, seven days a week, giving you the best opportunity to spot issues as they crop up. 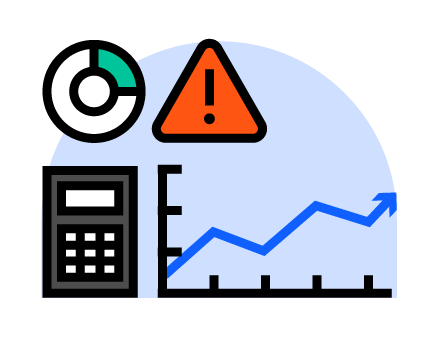 Our automated warning system ensures you don't miss emergency alerts.